We have consulted and designed school spaces in Victoria, Australia, New York City, Brooklyn in the United States and Singapore. With learning content available more than ever before, the level of engagement has evolved and traditional learning spaces need to adapt. With our background in exhibition design we integrate sustainable design with timeless, functional, inspiring spaces that engage students. 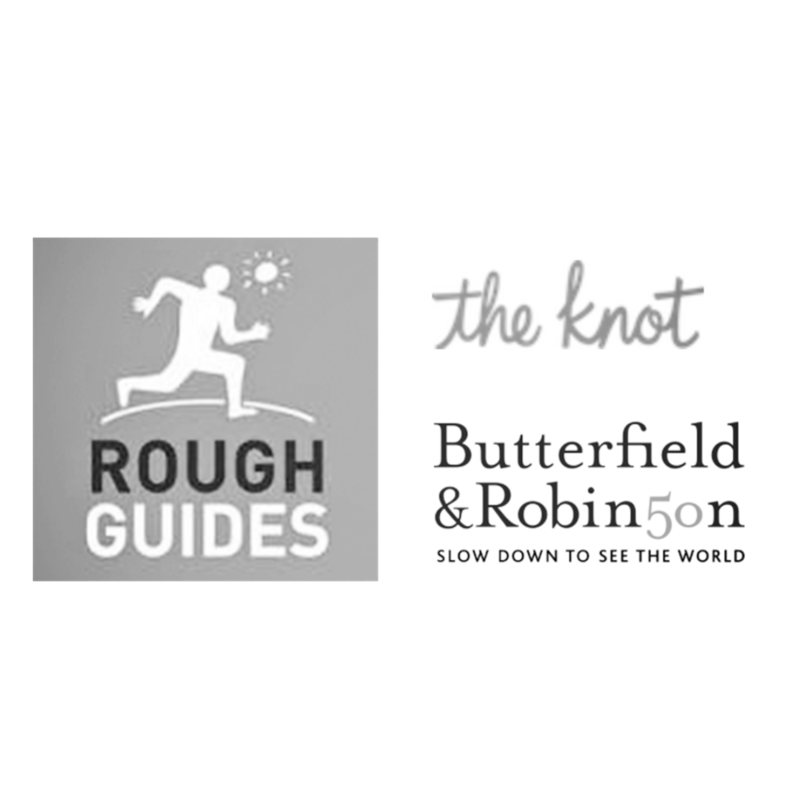 Facilities Planners International. 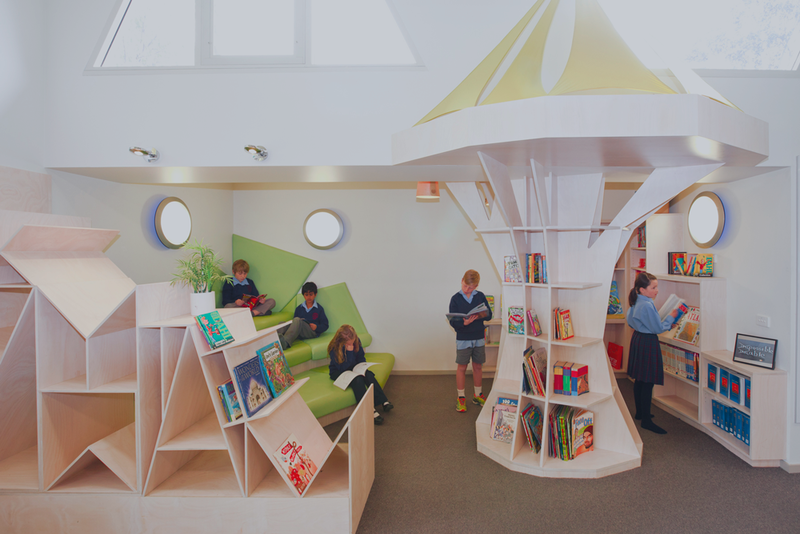 The design was based on the idea of a "tree of knowledge" where students would access books. 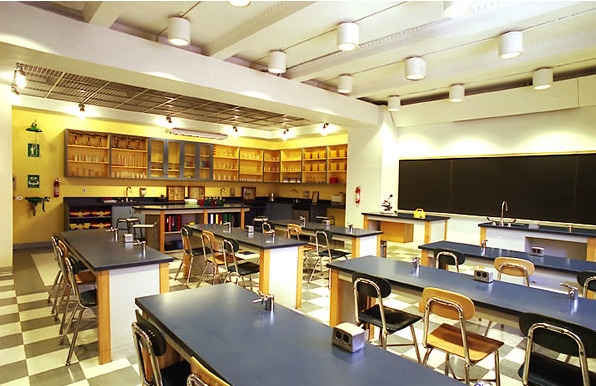 In collaboration with GVZ architects we developed the science labs; new biology, chemistry and physics labs for St. Ann's School on Pierrepont Street in Brooklyn Heights, New York. Each lab was designed to accommodate specific learning requirements for students to work individually and in groups. While working with GVZ Architects, we relocated the nursery school to Boerum Hill to a newly renovated space to meet their growing needs. Classrooms were designed with specific learning needs of early education. A rooftop play area was added along with administration spaces. 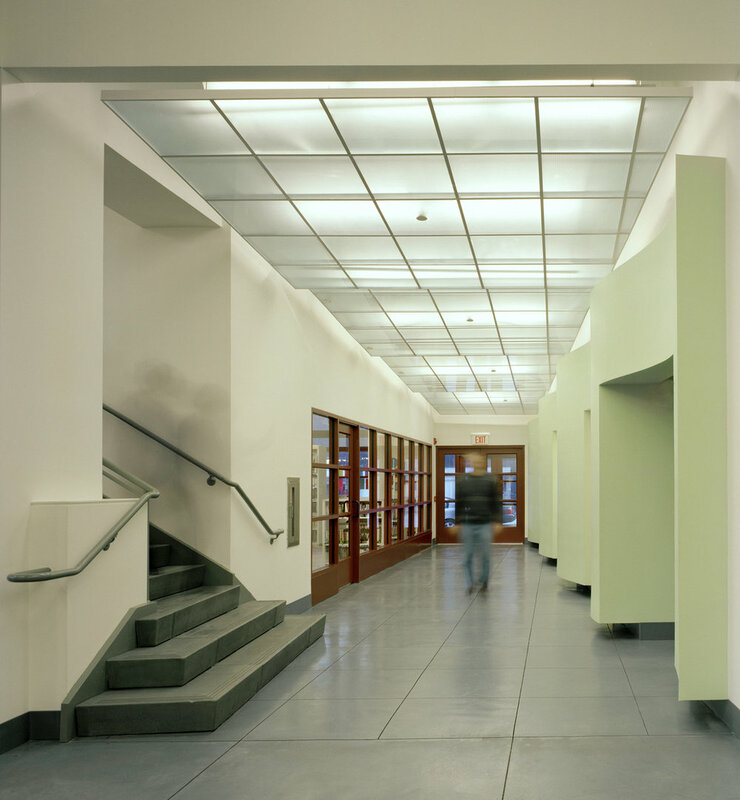 In collaboration with GVZ Architects I worked on St. Ann's initial expansion in Brooklyn Heights, converting a healthcare building into a multi-story structure to house the Lower School, grades 1, 2 and 3. In addition to the 12 classrooms, we added a rooftop gym. library, cafeteria, music and art studios along with administration offices.